Rosalie has 25 years of manufacturing experience in formal wear with an extremely talented and innovative team of professional designers from all over the world. Fashion-forward and impeccably designed using the most exquisite fabrics and detailing, an Rosalie dress makes the most of your very special day - be it your wedding,, your prom or just a night out on the town. You deserve the one dress that you'll hold in your heart forever. Nolen's is the Rosalie dealer for Bryan, College Station, TX and serving Central Texas to include Brenham, Waco, and Austin. 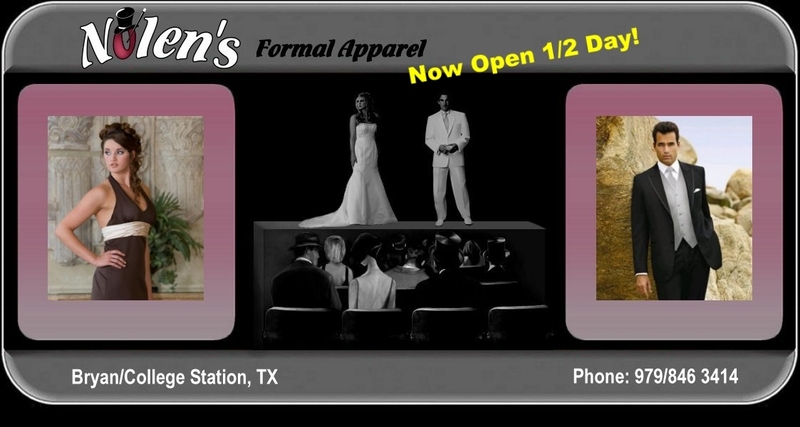 So, if you are looking for a bridal gown, a prom dress or a quinceanera dress, come to Nolen's and shop. You can find that perfect wedding dress at our store.